In 2017, travelers across the country brought a total of 3,957 firearms to the airport. 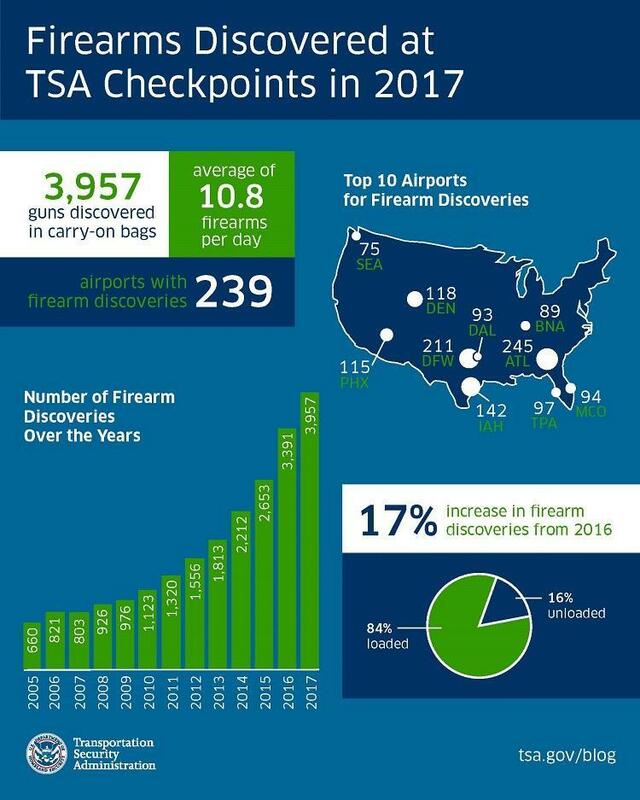 In 2017, travelers across the country brought a total of 3,957 firearms to the airport, and 84 percent of them were loaded, according to TSA’s year in review published Monday. Since 2005, the number of guns discovered in luggage has steadily increased. Between 2015 and 2016, the number jumped from 2,653 to 3,391 firearm discoveries. In addition to guns, grenades and other weapons, TSA agents came across some unusual items, too.